Over 300 Virginia artists have been awarded the nation’s highest honor for traditional artists, and a dozen of them will perform at this year’s Richmond Folk Festival. The Virginia Folklife Stage at this year’s Richmond Folk Festival will feature Virginia artists that have won the National Heritage Fellowship, the highest honor given to artists by the US government. The annual fellowship is awarded to approximately 10 recipients from over 300 nominees who work in a variety of art forms: crafts, music, dance, etc. 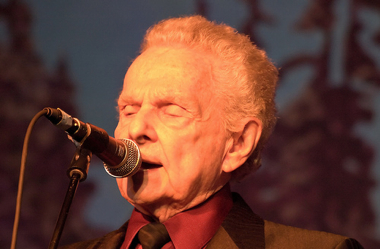 One of the performers will be Grammy Award-winning Dr. Ralph Stanley (a Big Spraddle, VA native) and the Clinch Mountain Boys.